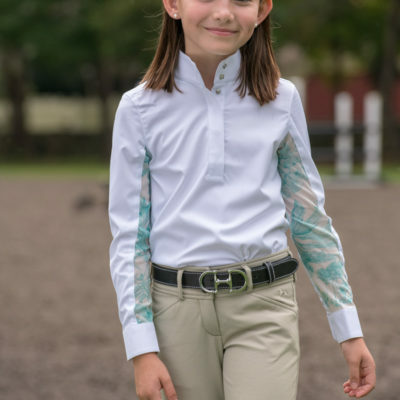 The Lauren Junior show shirt offers an exciting twist to the traditional show shirt. 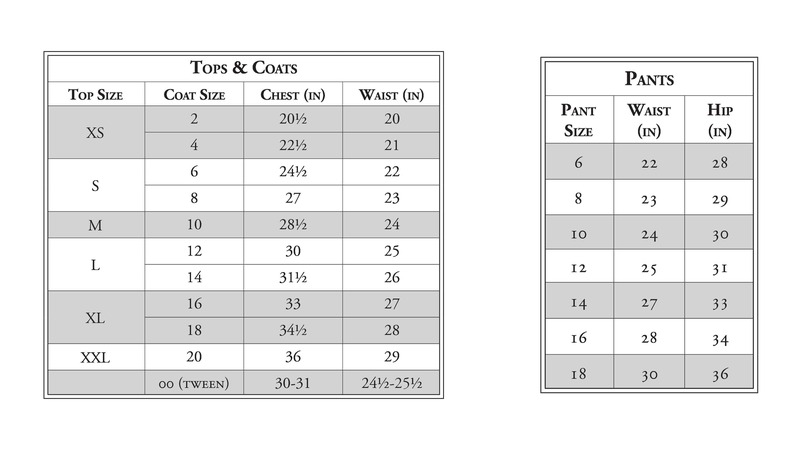 The pullover styling in a soft, yet crisp fabric allows for a professional look while offering the perfect amount of stretch. 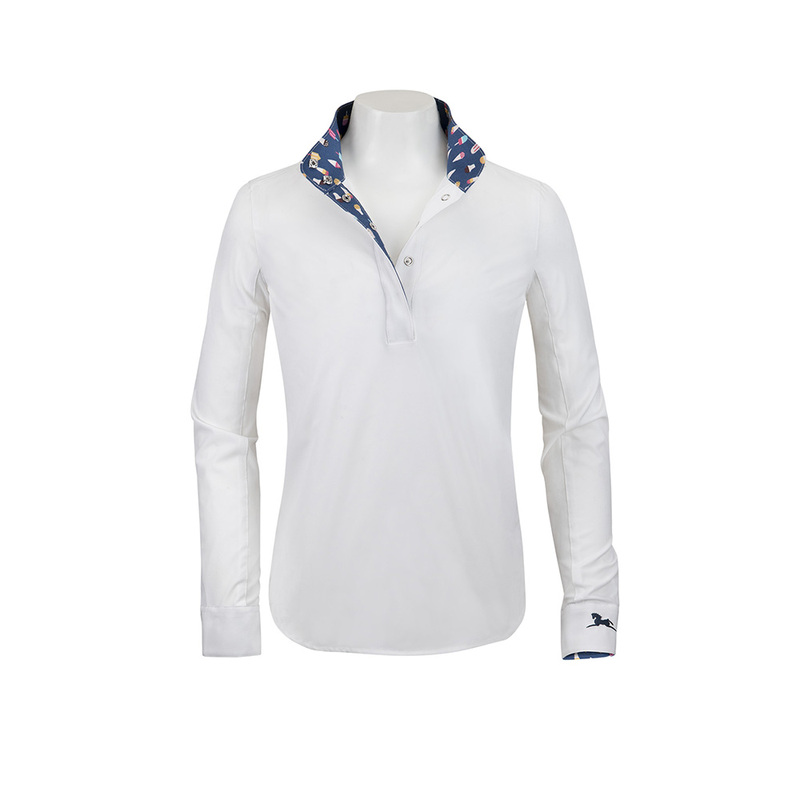 The main body fabric also features UPF 50 sun protection, and moisture wicking technology. The printed mesh panels allow you to update your wardrobe with your own sense of personal style.